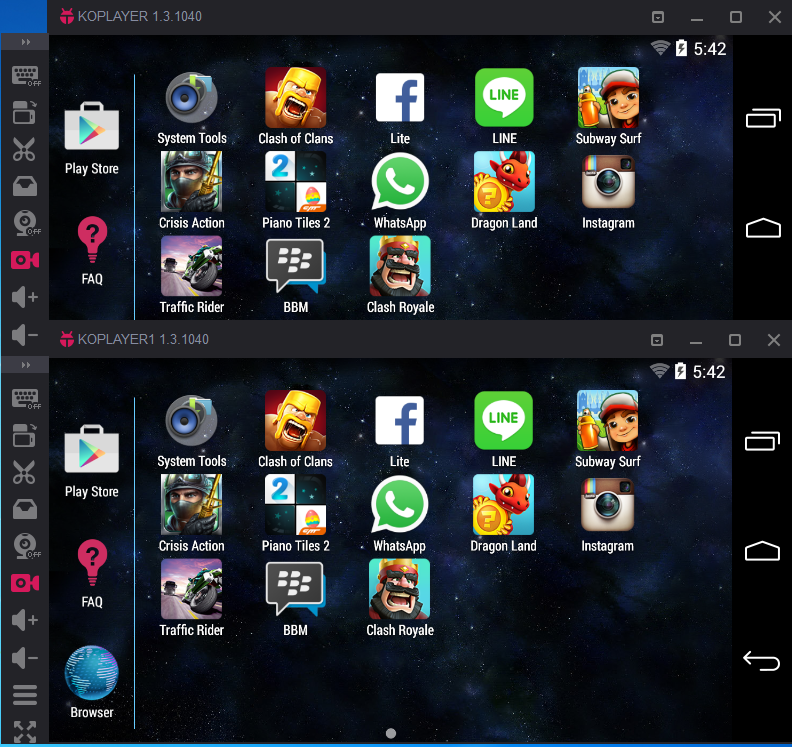 KOPLAYER Forum » KOPLAYER -- Android Emulator on PC (Windows/Mac) » Q&A » KOPLAYER Tutorials » How to Play Multi-accounts on KOPLAYER? How to Play Multi-accounts on KOPLAYER? We are so glad to announce that our new version supports multi-emulators. Here let’s see how to play multi-account on KOPLAYER at same time. 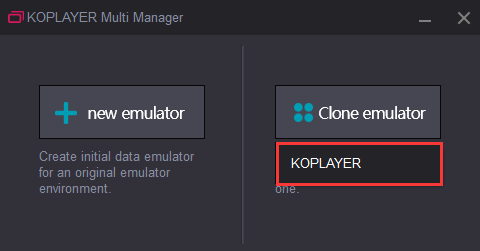 Step 2 After installing new version KOPLAYER, open “KOPLAYER Multi Manager” and click “Add emulator”. Please make sure your emulator is NOT STARTED. 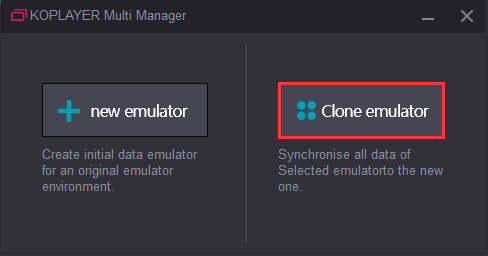 Note: There have two options for you: “New emulator” and “Clone emulator”. data of the chose emulator, including your installed apps, accounts, images, etc. 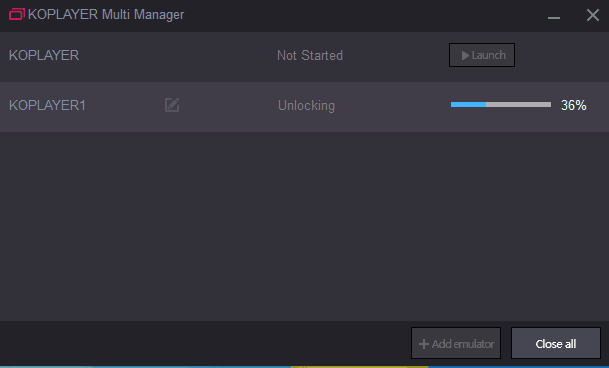 Step 3 Let’s see how to create a new emulator first. 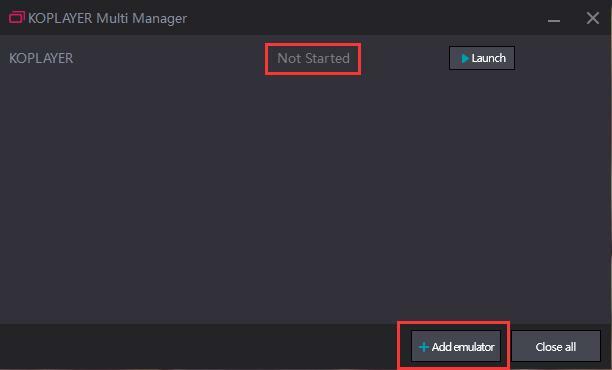 Click “New emulator” and you will see as below picture shows. Please wait for a moment. And you can edit its name to distinguish them. Step 4 Done ! 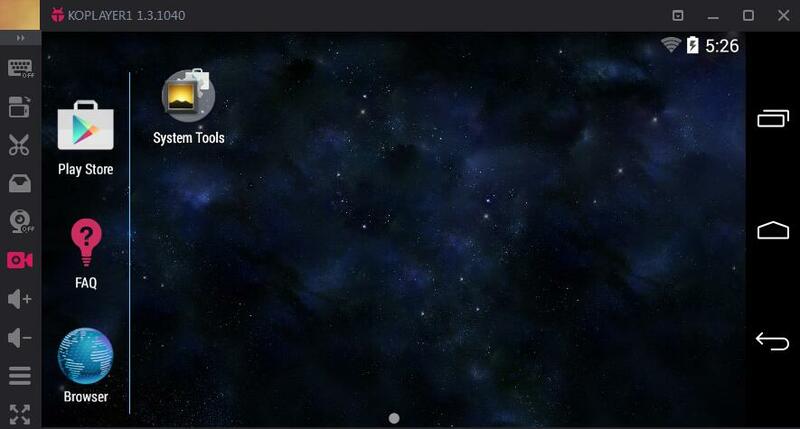 A new emulator which has no data from your original emulator. Step 5 Now is the turn of “Clone emulator”. Click it and choose the emulator which you want to copy. 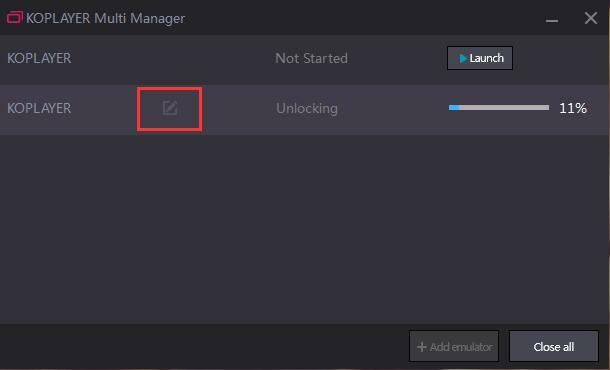 Step 7 After finishing the installation, you will get two same emulators, including images, games, apps, and anything else. Here are my emulators. 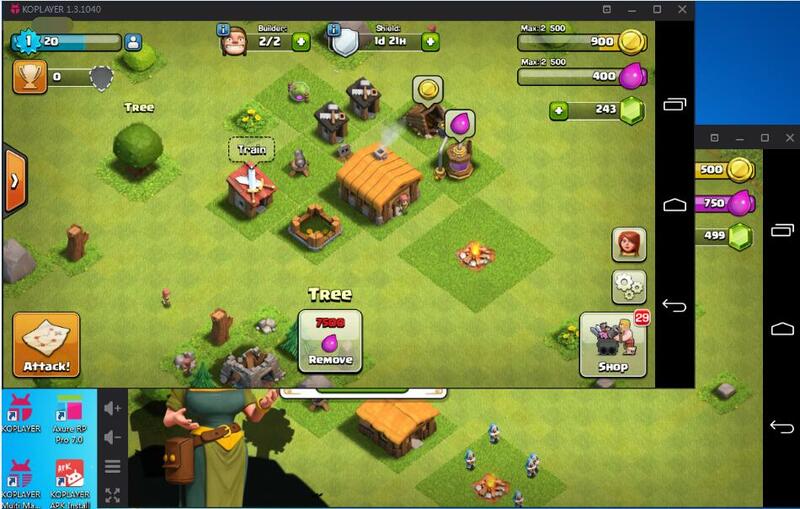 Playing two accounts of Clash of Clans at the same time! Note: How many emulators you can create depends on the memory of your PC.